Author Bell Hooks gives us a non-academic, though personally profound look into this universal and ageless question in her book, ‘All About Love: New Visions.’ One can assimilate Hooks’ analysis to love to Scott M. Peck’s view of life from ‘A Road Less Traveled’: “Life is difficult” as Peck says… once one accepts that life is, in fact difficult, it’s easier to accept the natural course of life. Venture with Hooks into her perspective on love in her value-filled chapters about what love is. This non-academic, though the intellectually written book, will allow you to consider your own thoughts and views on what love is while giving you cultural awareness on what society allows us to accept and what we are taught to believe love is. 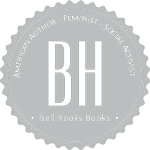 Professor and author bell hooks, born in Kentucky and educated in southern California has created a simple piece of literature about a complex and universal topic that many can relate to but also learn from. Love is a complicated emotion. What is love, really? Hooks dives deeply into the topic of love with insight that so many in the current culture are hungry to learn about. Hooks was born in Kentucky into a working-class family. This now prolific African-American feminist author has written her work of literature, ‘All About Love: New Visions’ which shows how all people can love one another. Either simply or intricately. Hooks, coming from a working-class family can love just as those who are born affluent and enriched with wealth can love. hooks helps readers look at their current, culturally defined view of love. The book allows readers to look internally at their own belief of what love really is. Readers gain perspective about what love, as an emotion, really is. People are all capable of love. Hooks’ view on love, coming from a near impoverished background, outlines that love is an emotion for everyone, not just for the financially advantaged. Love is an emotion all people can attain. Hooks’ matter-of-fact perspective on love is similar to Peck’s view of life. Hooks shows us ways to view love. She is culturally aware and gives intellectual insight for readers to embrace love. Whether you have or have not read Peck’s book, ‘The Road Less Traveled’, readers will come away with an acceptance of love and life. Venture with Hooks into her perspective on love in her value-filled chapters about what love is. This book will allow you to review your own thoughts on what love is while giving you cultural awareness on what society allows us to accept as what we are taught to believe love is. This is a book to read with a highlighter nearby. Some sentences are so profound and true to life that you want to make sure to remember them. bell hooks takes the complex element of love and breaks it down in a way that is so clear and simple. I think this book should be required reading for life. bell hooks takes a critical look at the way love exists in out lives and our culture. And she is so spot on! She is revered in the academic community and you will find yourself recognizing things that you never thought to question. But over all, just saying this is a good book to keep around and read every decade or sooner. I began reading for my book club and immediately took notes on various ideas about love. What is it exactly? Why does it seem to elude some and not others? Hooks presents numerous ideas and valid contradictions in what people view as love. I have a new understanding about myself, relationships (platonic, familial, and romantic), as well as life. Totally unexpected, but welcome and necessary. Required reading for anyone that wants to have a practical working definition of the word Love, minus the conditioned version we are accustomed.